Love Ashton Kutcher’s new shaved and shorn look? The Two and a Half Men star says there’s a bit of divine intervention to thank! 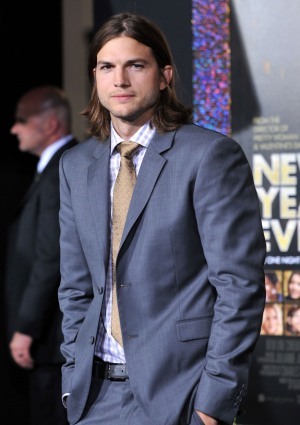 Ashton Kutcher’s long hair is no more! After years of rocking facial scruff and long locks the actor is clean-cut yet again. Humor aside, the new short hair and clean-shaven face is actually by request of the Two and a Half Men writers. It seems character Walden Schmidt’s transformation, who Ashton Kutcher began playing after Charlie Sheen’s dramatic departure from the show, means the actor gets a real life makeover as well. Still, Ashton Kutcher isn’t exactly thrilled with being forced to clean up. “I actually was enjoying looking homeless,” People reports he joked. Do you prefer Ashton Kutcher’s clean-shaven or homeless look?